An international team of researchers has completed a decades-long study of tiny salamanders found in the high-mountain forests of Oaxaca, Mexico, and concluded that they represent three new species of the enigmatic genus Thorius. 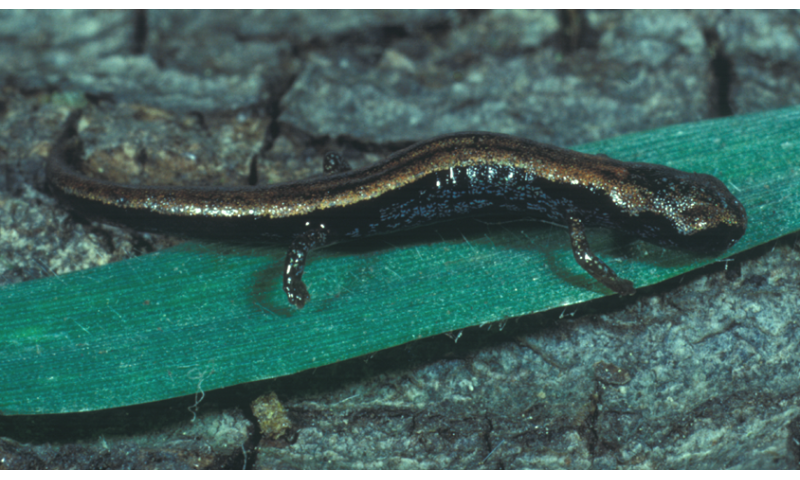 With adults smaller than a matchstick, these salamanders are the smallest tailed tetrapods—their miniaturized bodies are highly unusual for a vertebrate, with structures for feeding and reproduction being among the most prominent. Although once extremely abundant, populations of Thorius have declined precipitously over the last 30-35 years and living Thorius are now rarely found in nature. 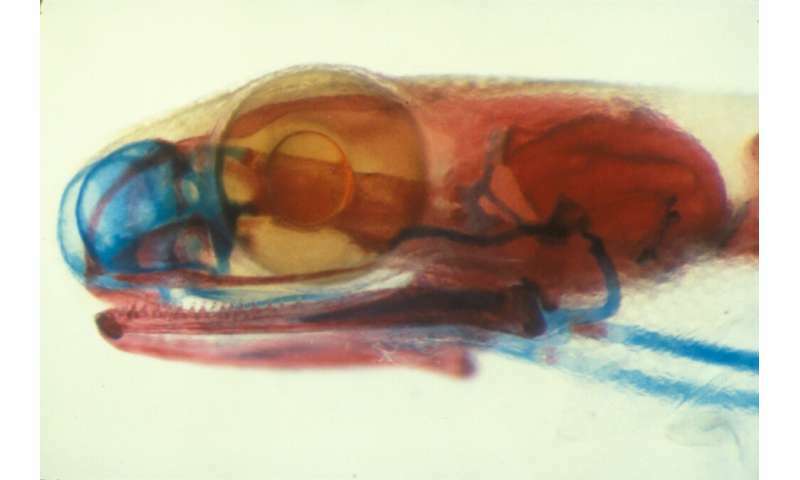 The new species were discovered by using a combination of sophisticated molecular analyses (including DNA sequencing), digital imaging (X-ray computed tomography) and statistical analysis of external and internal anatomy. They have been named Thorius pinicola (meaning "Pine-dwelling Minute Salamander"), Thorius longicaudus ("Long-tailed Minute Salamander") and Thorius tlaxiacus ('Heroic Minute Salamander'). The findings underscore the large number of amphibian species that remain to be discovered and formally described—and hopefully saved—before they are lost. Thorius were first discovered in the 19th century, and for the next 75 years scientists believed there was only a single species. Nine additional species were discovered between 1940 and 1960, but the adults are so small that the species were hard to tell apart. A breakthrough came in the 1970's, when biologists discovered that many species, while anatomically similar, could be readily told apart by using molecular techniques, which then revealed subtle anatomical features that differentiate them. Since then, many more species have been discovered and named and the three newly named species bring the current total to 29. This dramatic increase in the number of known species of Thorius parallels what has been happening in the study of amphibians generally. For at least the last 30 years, the number of valid, named amphibian species worldwide has increased at a rate of about 3% per year. Whereas in 1985 biologists thought there were around 4,000 species of amphibians, today they recognize more than 7,500. More new ones are being discovered almost daily. Tragically, the discovery and documentation of hidden amphibian diversity coincides with the precipitous decline of amphibians globally. Many once-abundant species have gone extinct in the last 50 years, and others are likely doomed to a similar fate barring effective steps to save them. Of the nearly 30 species of Thorius now recognized, almost all are regarded as Endangered or Critically Endangered by the International Union for the Conservation of Nature. Indeed, Thorius may be the world's most endangered genus of amphibians. There is a realistic chance that all living species could be extinct within the next 50 years.